We’d love your help. 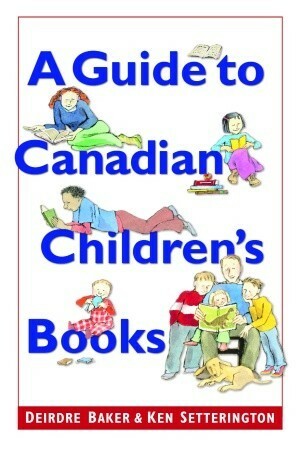 Let us know what’s wrong with this preview of A Guide to Canadian Children's Books in English by Deirdre Baker. This is an entertaining and easy-to-use guide to the very best in Canadian children’s books for parents, grandparents, teachers, librarians, and anyone else interested in the field. The first book of its kind in Canada, it deals with over 500 recommended titles, all by Canadian writers and illustrators, selected by two recognized experts. Organized by age and genre, it includes chapters on board books, concept books, picture books, traditional tales, poetry and rhyming stories, books for beginning readers, novels for those aged 7 to 12 and those 12 and up, as well as non-fiction books. Each entry gives bibliographic information and then a short summary of the book, a critical assessment, and the reason for its inclusion. Detailed indexes allow the user to find books based on author, title, subject matter, locale in which the story occurs, and area in Canada in which the author lives. To ask other readers questions about A Guide to Canadian Children's Books in English, please sign up.